Accuray Incorporated has announced that data from an international, randomized, 38-center trial (PACE - Prostate Advances in Comparative Evidence) show that treatment with stereotactic body radiation therapy (SBRT) results in a similar safety profile to conventional radiation in men with low- or intermediate-risk prostate cancer. The study was presented during an oral session at the recent American Society of Clinical Oncology Genitourinary Cancers Symposium (ASCO GU) in San Francisco, California. SBRT involves the delivery of very high doses of externally-administered radiation over a small number of treatment sessions, offering convenience for patients, compared to conventional radiation therapy which requires a substantially longer course of treatment. In the PACE trial, SBRT was delivered in five sessions while conventional radiation therapy was delivered in 20 or 39 sessions. The Phase 3 trial found that despite the high dose delivered to the prostate, use of SBRT and conventional radiation therapy result in comparable rates of acute gastrointestinal and genitourinary toxicity. "There has been considerable discussion and analysis of the risks versus the benefits of different radiation treatment techniques, especially in patients with low- or intermediate-risk prostate cancer, in large part because the side effects of treatment can impact quality of life. One of the clinical trial goals was to determine whether SBRT or a more conventionally fractionated radiotherapy schedule would provide a safer treatment choice," said Nicholas van As, M.D., Medical Director and Consultant Clinical Oncologist of The Royal Marsden NHS Foundation Trust and Reader at the ICR, London, United Kingdomand lead investigator of the trial. "These early trial results are very promising and help us better understand the effect of different radiation therapy techniques on the treatment of prostate cancer. We look forward to analyzing additional trial data as it becomes available." The prostate gland can move unpredictably throughout the course of treatment because of normal patient bodily functions. This makes it vitally important to be able to track, detect and correct for all types of motion. 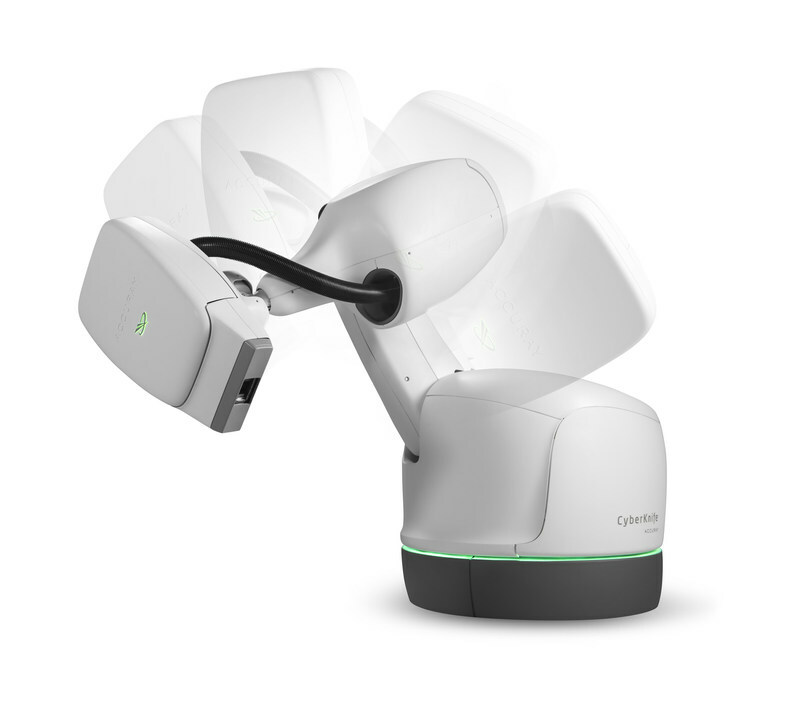 The CyberKnife System, designed to deliver SBRT, is the only radiotherapy device that can track and automatically correct for prostate motion and maintain sub-millimeter accuracy throughout treatment delivery, thereby enhancing clinicians' ability to treat effectively while preserving healthy tissue. "The results of this randomized controlled trial add to the large body of evidence supporting the use of SBRT as a treatment option for low- and intermediate-risk prostate cancer. The data are important because they have the potential to impact clinicians' approach to the treatment of this disease," said Fabienne Hirigoyenberry-Lanson, Ph.D., Vice President Global Medical and Scientific Affairs at Accuray. "Our CyberKnife System provides a valuable option for delivering prostate SBRT. Data reinforce that treatment with the system results in minimal side effects and impact on quality of life during and after treatment." Accuray discusses PACE trial showing SBRT has acute safety profile similar to conventional RT for localized prostate cancer. Appl Rad Oncol.